The Ohio Code provides that an executor must be mentally competent, no less than 18 years old and be bonded. This means that he must obtain a bond from an insurance company while serving as executor. The bond protects beneficiaries in cases where the executor acts inappropriately or makes a mistake with regard to the estate, causing a loss of some or all of the assets. To be bonded, an executor must not have a criminal record and must have an outstanding credit score. The cost of the bond is paid from estate assets. You have the option to waive the bond, which you may choose to do if your chosen executor can't strictly meet the requirements, but you still trust him to serve. After you die, the executor must begin probating your estate. In Ohio, if an estate is valued at less than $35,000, the formal administrative requirements are not necessary. For all other estates, probate begins with filing of the will in probate court and seeking appointment as executor. Once appointed, the executor must take possession of, and value, all property in the estate. When the inventory is complete, the executor must submit this list to the Ohio probate court in your county of residence. This task must be completed within three months from appointment as executor, unless the court grants an extension. Before disbursing any property, the executor is responsible for paying debts you owed and collecting debts owed to you. The executor also must notify all creditors of your death. If a creditor has a claim against the estate, he must notify the executor within six months of your death or be barred from recovering. Federal and state income tax returns must be filed and taxes paid prior to April 15. The executor is responsible for preparing and filing a federal estate tax return if the estate is valued at $5,250,000, as of 2013, and paying an amount of tax based on a percentage of the value of the estate. As of December 31, 2012, Ohio no longer levies estate taxes. During probate, the executor must identify and locate any heirs named in your will, and notify those beneficiaries of a possible inheritance. If there are any assets left after all outstanding debts are paid, the beneficiaries will be entitled to inherit those assets. The executor is responsible for distributing estate property to beneficiaries in accordance with the wishes established in your will. The executor must then submit a final accounting to the court, setting forth all payments to or disbursements from the estate before the probate case can be closed. Because of the extensive work that goes into administering an estate, an executor can be compensated for his service. Ohio law permits a compensation fee of a certain percentage of the estate -- 1 to 4 percent, depending upon the total value of all the assets in the estate. 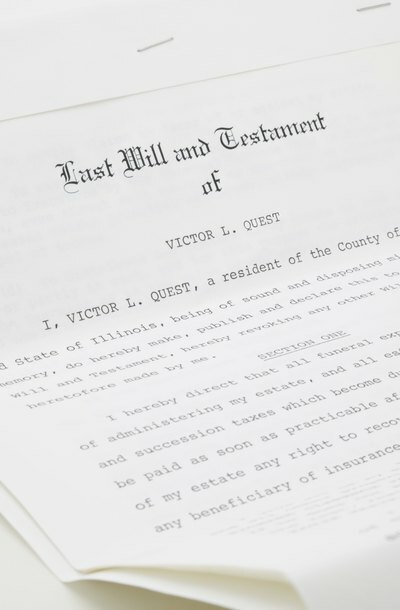 Gudorf Law Group, LLC: Executor of Estate: What are the Requirements in Ohio?